The Geo Trade Blog: Life in the Universe - why do living things die? Life in the Universe - why do living things die? Is there life outside Earth? By far the strongest driving force for the exploration of the Mars is the question: Is it alive? From thousands of images and measurements we have already ruled out the presence of large surface plants and animals. What we cannot entirely dismiss, however, is the possibility of “invisible” Martians such as micro-organisms or anything that could exist below the surface. What makes this question so important is that from a “Yes” we can infer that life is probably prevalent throughout the universe. And there is nothing that an astrobiologist would love more than to be able to analyse the sequence of alien DNA (or other genetic code) to compare with terrestrial organisms. Given the hostile Martian surface environment, if we are going to detect traces of life, we will need highly sensitive instruments that look for the faintest possible biological signatures such as organic molecules. This is where the story begins to sound more like something out of science fiction. In order for an astronaut to step down onto the surface, they will need to step out of an airlock from their spaceship. By necessity, the volume of this airlock will first be exposed to the inside of the spacecraft, and then to the Martian atmosphere. Even clever designs like the lunar electric rover suitport suffer from this inherent limitation. Living on the surface of each astronaut will be one trillion microorganisms, representing more than 1,000 species of skin flora. Combined with microorganisms from other parts of the body, every single astronaut will bring along to Mars a soup of Earth micro-organisms that will be released into the atmosphere every time they climb out of the hatch. These micro-organisms can, under favorable conditions, multiply every 20 minutes, allowing them to rapidly grow, mutate, and adapt to adverse environmental conditions. One of the adversities on Mars is the high level of UV radiation, which will kill off many of the bacteria that remain exposed on the surface. The organic remnants from these bacteria and viruses could potentially fool ultra-sensitive instruments. Some bacteria will become shielded from the UV, buried just below the surface by footsteps and wheels. And for some, such as a strain that has come to be known as Conan the Bacterium, radiation is not a problem. Through an elaborate collection of repair mechanisms, it is capable of withstanding radiation more than 1,000 times greater than any other known living organism. And beyond that, there is the concern of reverse contamination. With each return of an astronaut to the ship, the airlock would introduce Martian biological remnants to the crew, and subsequently, to Earth. We don’t know how serious this might be, but, historically, human exploration has frequently resulted in epidemics. 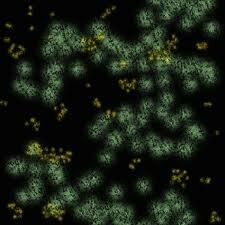 Every single-celled organism alive today has been in existence since life began over 3 billion years ago. This is because individual cells do not give birth, they divide. After cell division, the two cells that result are each as old as the single cell that preceded them. The cell does not become younger by dividing. Hence every cell in your body is over 3 billion years old. The strategy that multicellular organisms such as humans use to project themselves into the future is to create new cell colonies from a single undifferentiated cell rather than maintaining existing colonies indefinitely. The main reason is that reproduction is more flexible and robust than maintenance, and it provides a way of starting over with a "clean slate" and slightly different genes. Complex organisms accumulate billions of errors and problems over their lifetime. Most of these errors are fixed as fast as they happen, but life takes a toll and not all problems are reversible. Just as reinstalling Microsoft Windows every so often fixes accumulated system issues, so does generating a new organism every so often from a single cell. Given that biology has selected this strategy, evolution has optimized for producing the most successful offspring. Once the individual has reproduced, its only evolutionary role is to support the success of its offspring. Aging longer is just not something evolution has had a reason to optimize. And in fact given limited environmental resources, the offspring often do better if the older generation doesn't stay around forever competing with younger generations for scarce resources. In terms of what happens physiologically, there are two main contributors to aging. The first is the accumulation of biological defects. Viruses and disease take a toll even after healing; UV rays slowly but inevitably damage DNA; and proteins, cell structure, and the neurons which hold memories all degrade over time due to thermodynamic molecular disruptions and invasions by other species. The second is the aging process itself. The organism develops to maturity and ages in stages according to a genetically determined life plan. Muscles atrophy, bones brittle, and metabolism changes. But the life plan has never run more than 80 years until recently, and evolution only ever optimized the first 40 years or so. So humans are in new territory that is poorly understood, and which evolution has never had a reason to fine tune. It may be possible to slow or stop some of the genetically determined aging processes. While this may not be good for an overpopulated planet, it will be popular with ageing populations in many developed countries.